Today thousands of people will descend into town. Ugh. 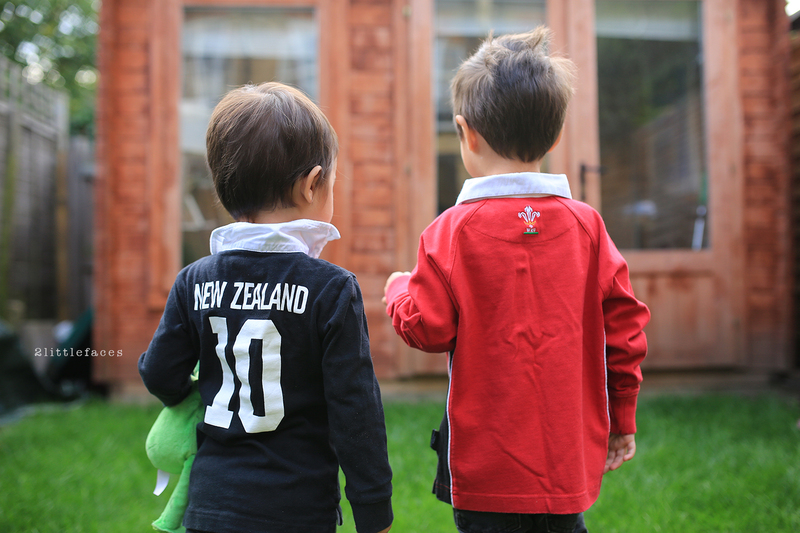 Yes, the Rugby World Cup is here and I know I should be more enthused as I am Kiwi and the husband is Welsh. But it runs in with the monster month of birthdays and the fact that the final is on Harvey's birthday (Halloween) does not make a happy mummy. 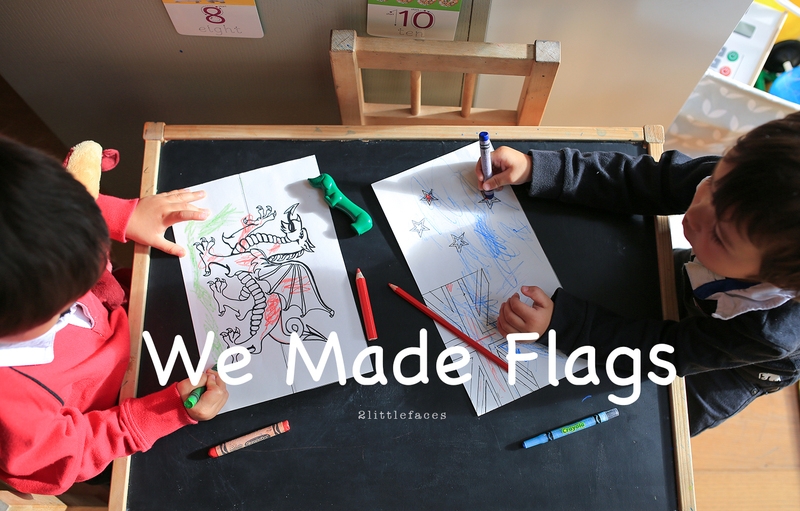 Anyway, to celebrate this amazing event, we made country flags. 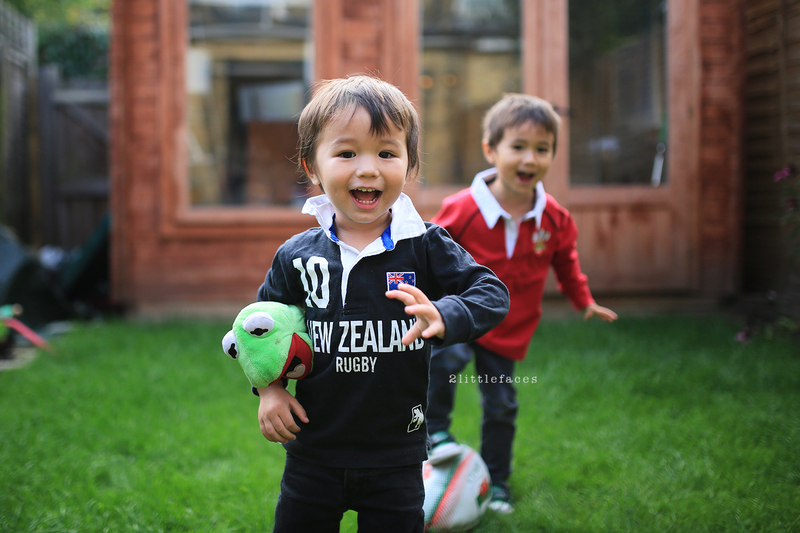 Unfortunately, Steve is not acknowledging the fact that his boys are English. So we will just keep that one quiet for now... shhh. I don't have a printer, so I thought it would be fun drawing them. What was I thinking?!? The dragon was a bit more detailed than I had in my mind. Even tracing it from my laptop screen was a bit of a mission. 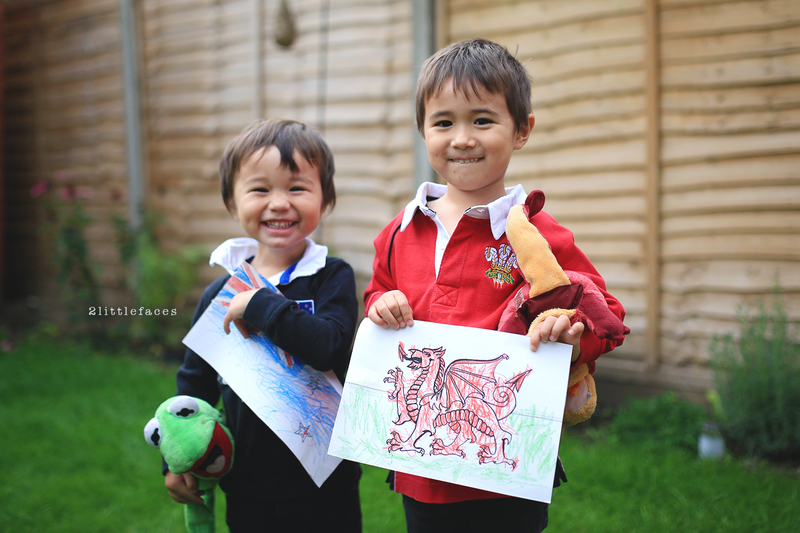 Once I drew out the flags, the boys coloured them in their respecting colours. 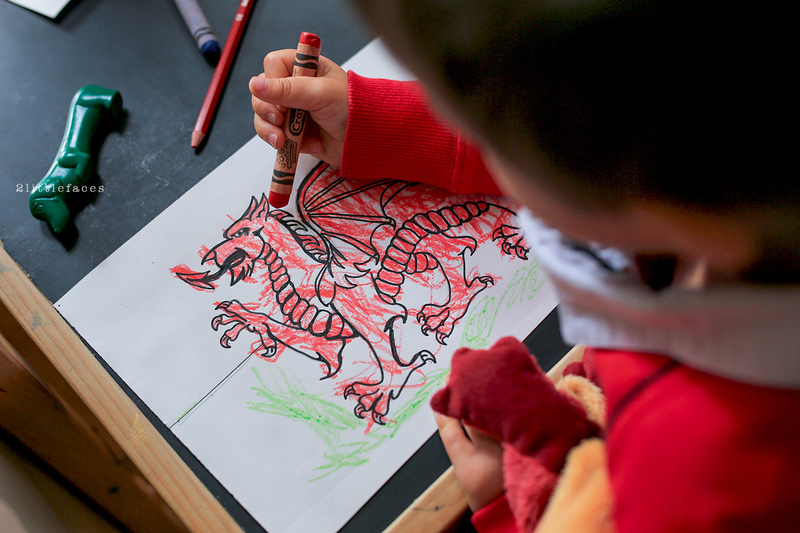 Harvey wanted to colour the "sky" of the welsh flag in blue. I am sure grandad would have loved that! After they finished I found some balloon sticks and stuck the flags on for game time waving. 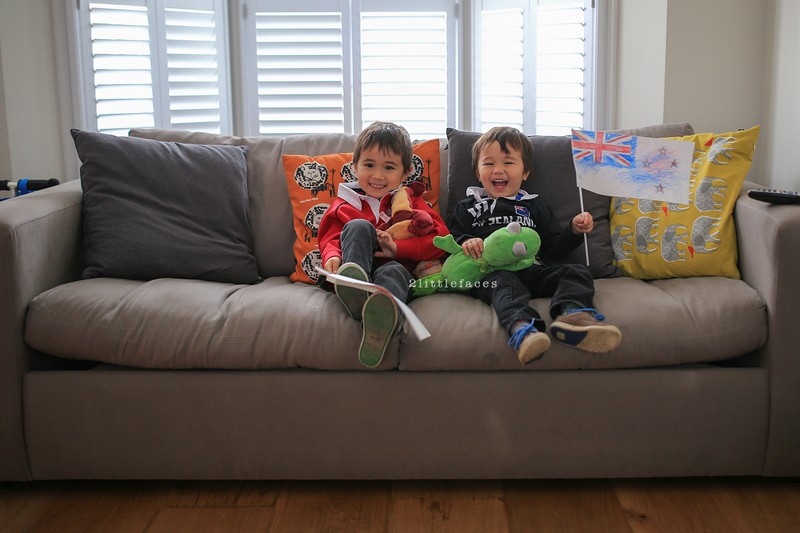 The boys loved this little activity and it is a good start to teaching them about the different country flags. 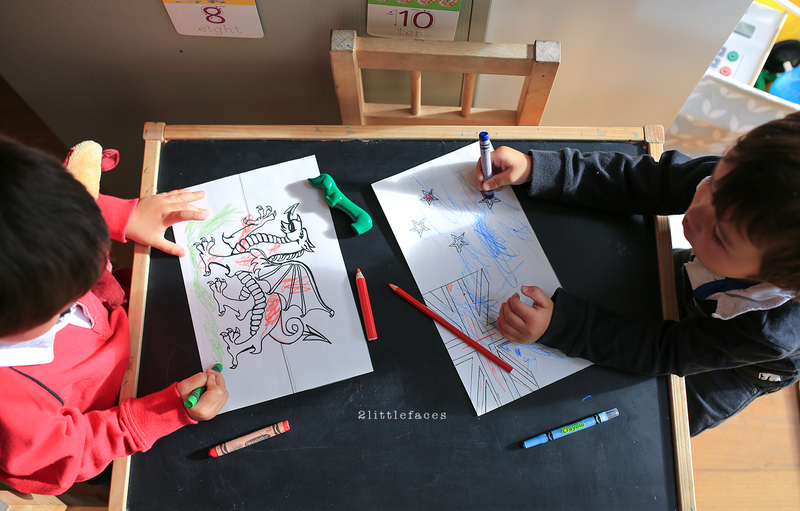 An easy and educational, rainy day activity for your little ones. We might even make the flags for each game! Definitely will need a printer now!